Somewhere in Germany. Having rediscovered an old action figure thought long lost, a hobbyist by the name of KRAUTSCIENTIST embarks upon a fun tribute project. 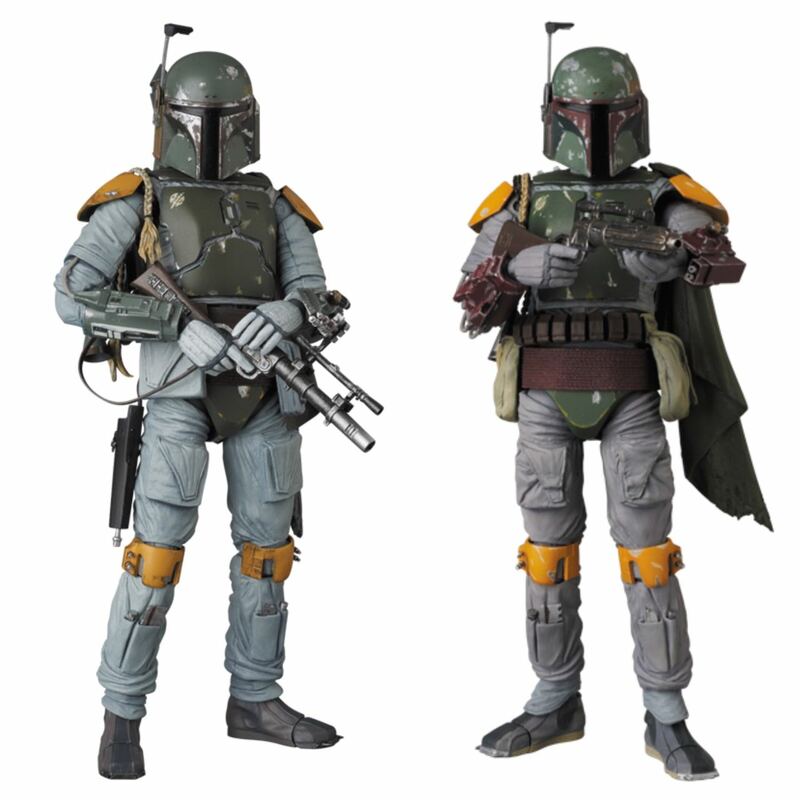 Will he be able to return colour to one of the galaxy’s pre-eminent bounty hunters, the scoundel known as BOBA FETT? 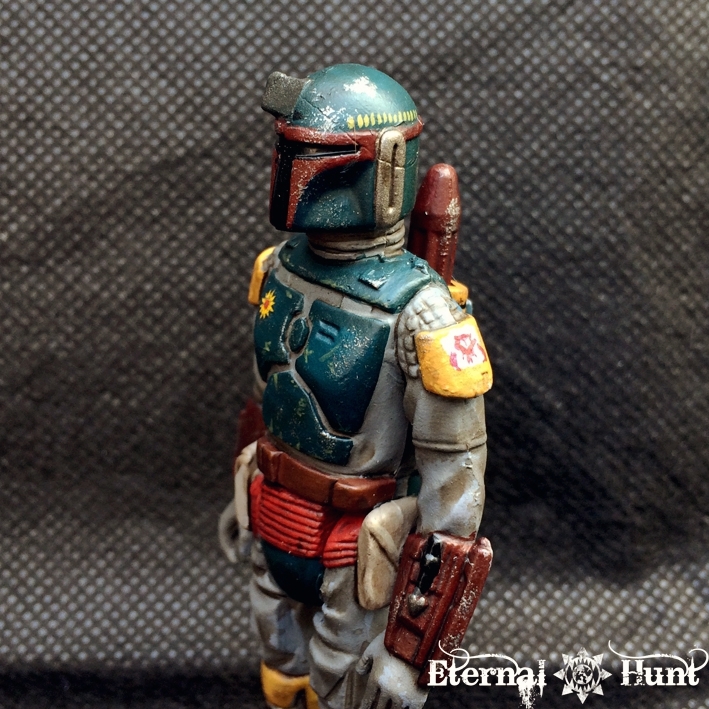 As the release of a new Star Wars film looms near, KRAUTSCIENTIST touches brush to model…. Well, that should tell you most of what you need to now about today’s post. I’ll be heading out to watch Solo: A Star Wars Story later this week, and I thought the release of a new Star Wars film would be the perfect occasion to actually finally tackle that aforementioned tribute project — so what is this about? Let me prefrace this by saying that I used to be a massive Star Wars fan during my childhood and early teens: I saw the old trilogy (Episodes IV to VII) on TV around the age of ten, and together with the – mostly excellent – Star Wars video games released by Lucas Arts all through the 90s, the series became one of my great nerd passions during those years (to the point where I can still quote entire TIE Fighter cutscenes by heart, ridiculous as that may be). I was a diehard fan (albeit one who was always rooting for the Galactic Empire). The (first) cinematic re-release of the touched up first trilogy came out shortly before I finished school, then the following prequel trilogy wasn’t really all that great — I don’t hate it as viciously as many people, but it did feel as though I had outgrown Star Wars a bit at that point. Which, with the benefit of hindsight, actually put me in a perfect place to see the new films, as I went into them without any big preconceptions or expectations, and so far, I have been having a blast with all of them — let’s hope the trend continues with Solo. But anyway, the thing to remember here is that I used to love Star Wars with a burning passion for quite a few years. The other important thing is to understand that Star Wars action figures used to be a bit of a holy grail for me during my childhood: My first contact with Star Wars happened when the films were broadcast in German television for the first time (I believe) during the late 80s — in any case, it was enough of an occasion for some new merchandise to be released (mainly books and a neat book-audiobook combo for children), yet the original action figures had long disappeared from the shelves by then. This may be hard to imagine nowadays, with myriads of Star Wars action figures in all shapes and sizes freely available — but back then, if you actually wanted some Star Wars action in your life, you either had to get creative and proxy stuff with the action figures you had (I even went so far as to paint a certain MotU figure glossy black to create a poor standin for Darth Vader at one point) , or you had to be extremely lucky and find some of the original figures during yard sales and the like. 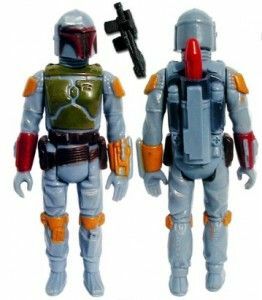 Boba Fett was the first new mail-away action figure created for The Empire Strikes Back; although advertised as having a rocket-firing backpack, safety concerns led Kenner to sell his rocket attached. A few early samples of this toy is considered “a rare and precious commodity”, and one of the rocket-firing prototypes sold at auction for $16,000 in 2003. 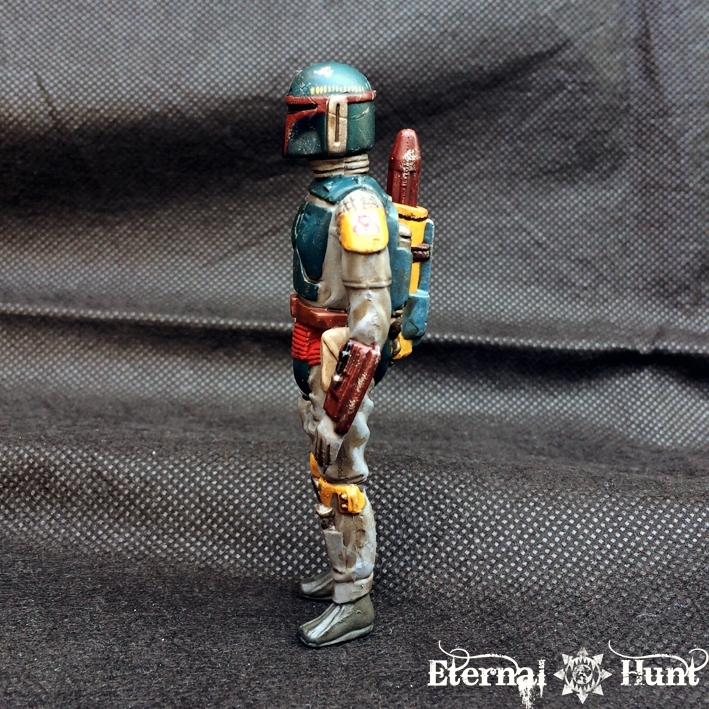 Anyway, the picture above shows you how Boba Fett would have looked in his ideal form. I don’t even blame the poor guy: At this point, he has gone through several pairs of hands and probably survived several childhoods and all kinds of weird adventures — and at a biblical age for an action figure, as a stamp on the plastic shows: Designed in 1979, this figure is very probably older than me! 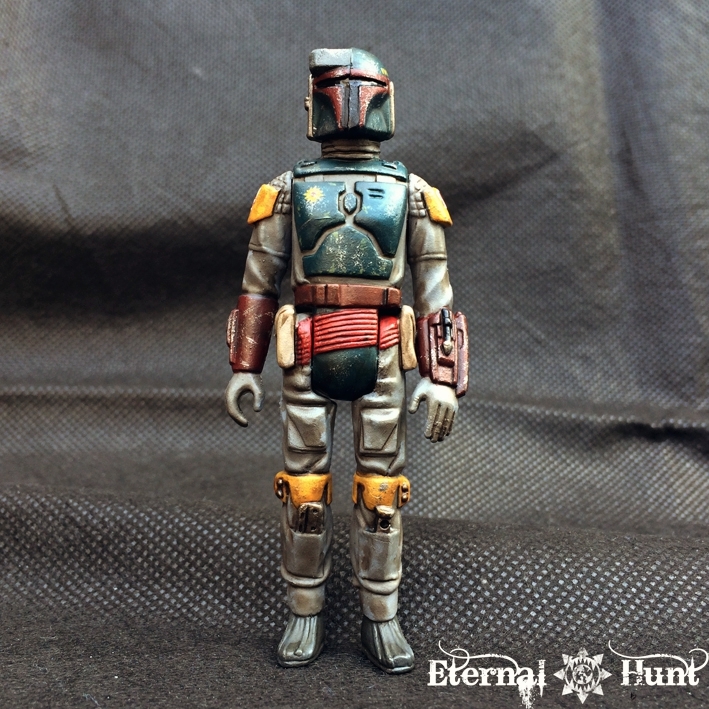 But while the actual wear and tear on the figure’s official paintjob actually recalled Boba Fett’s scuffed in-universe look, I came up with the idea of giving the figure a new coat of paint, as a fun little experiment. I had wanted to do this for quite a while, but when I finally came upon dear Boba again last week, I knew I needed to make it happen. The first thing I had to do was to at least try to get rid of some of the more egregious mold lines — it’s a relatively cheaply made action figure, after all, with all that entails. 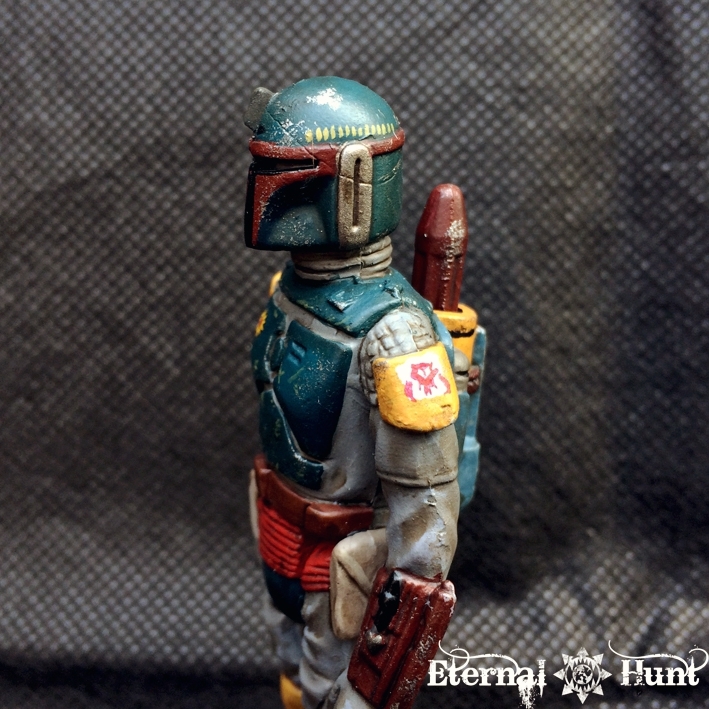 I couldn’t get rid of them all without damaging the underlying detail – a particularly pesky mold line running straight down the helmet proved all but completely resitant to my efforts – but I did my best. I also shaved off the date stamp and the made in Honkong sign. 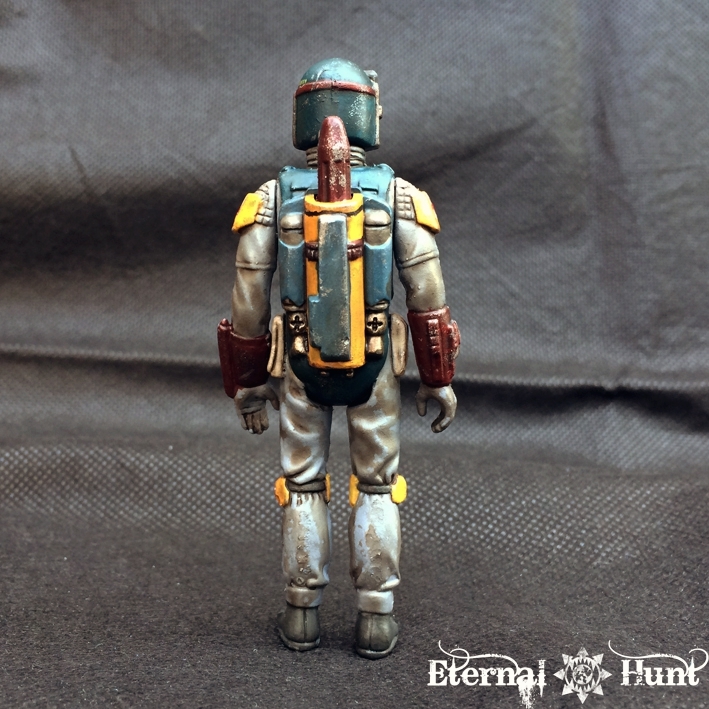 Then the entire figure was scrubbed down and given an undercoat of Army Painter’s uniform grey, which seemed ideal because it already matched Boba Fett’s “official” overalls fairly closely on colour. Plus there was also the fact that, allowing for the fact that they were basically producing a rather cheap action figure, Kenner’s designers also played loose with the design, simplifying quite a few of its elements. In the end, I dug up as many production photos, fan art and merchandise pictures as I could find and tried to aim for a stable composite between all of the established versions, trying for a look that isn’t obsessively faithful to any one source, but tries to be authentic nonetheless. 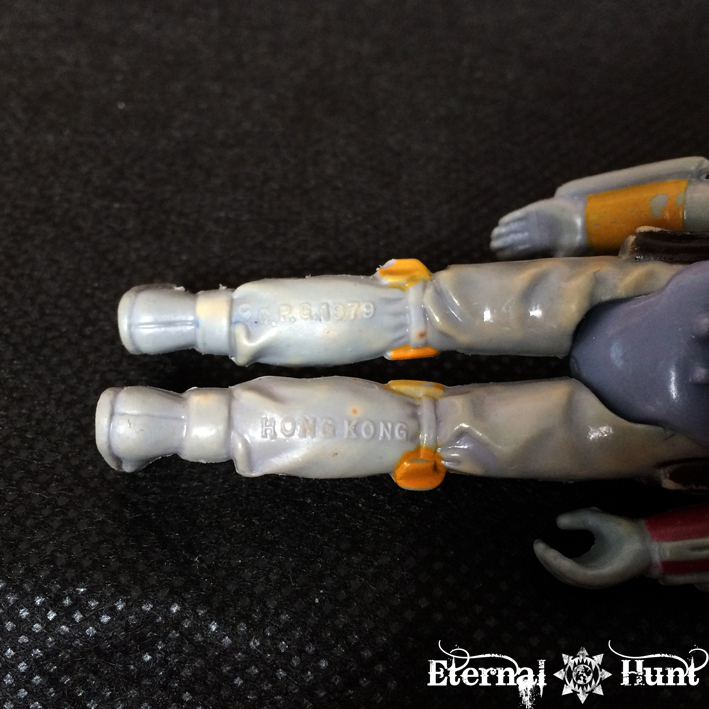 The back is the part where the action figure diverges the most from the actual movie costume, greatly simplifying the complexity and shape of the jet pack. I just played it by ear and tried to come up with a solution that was at least reasonably close to the official sources. The emblem on the ride side of the chest was a bit of a cop-out, as I just used a small decal from the Imperial Knight decal sheet. To make up for that lack of fidelity, however, I did the best I could to freehand the Mandalorian skull symbol on both shoulder pads (incidentally, I discovered that the symbo shows a stylised Mythosaur skull — sheesh, that sounds stupid, even for Star Wars 😉 ). I can safely say that this has been a rather enjoyable little gaiden project: While I don’t have any immediate plans of doing something like this again, I did have a blast repainting this guy! 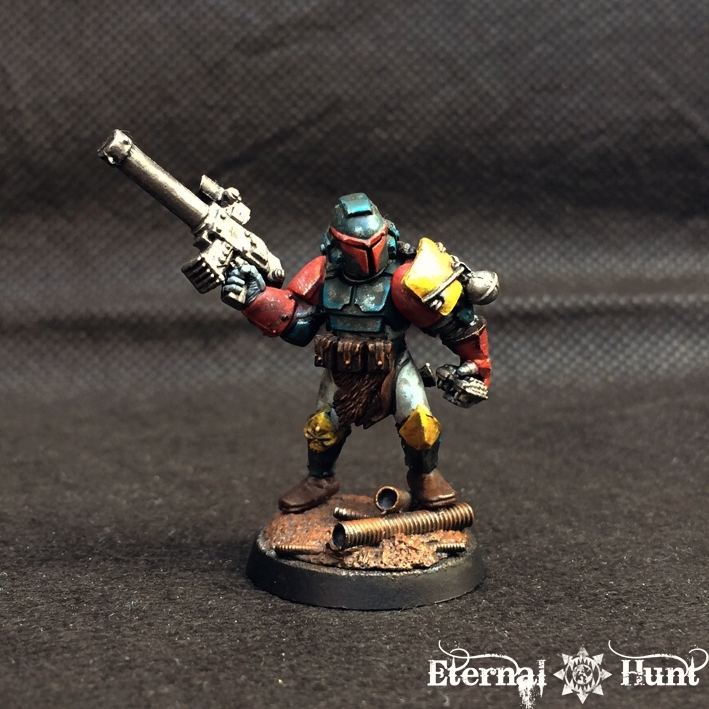 The model was started as a fun experiment after I had seen several Boba Fett kitbashes online — plus I realised that one of the old Khorne Berzerker helmets already had the perfect Mandalorian look 😉 After building the model, I actually turned it into a member of Inquisitor Antrecht’s INQ28 warband, and even came up with a tongue in cheek background vignette for the character. 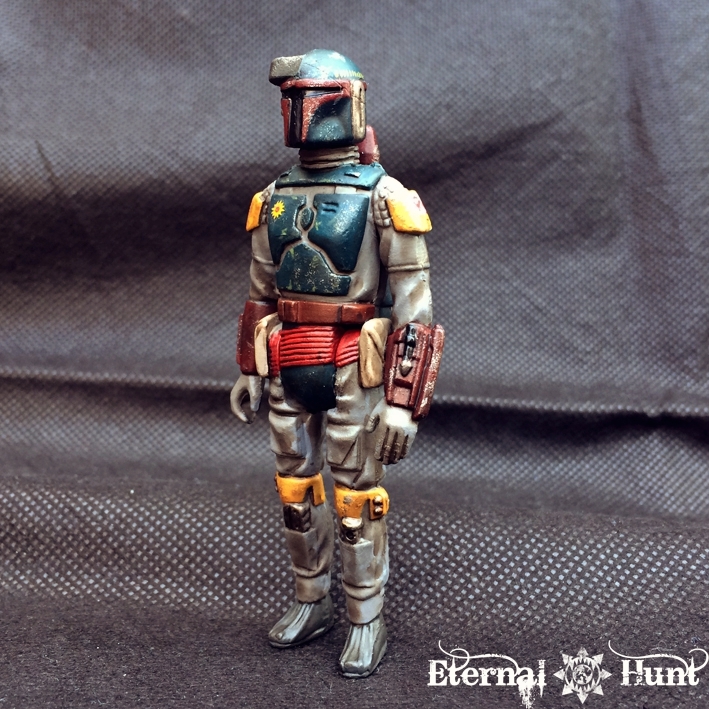 To be perfectly honest, however, the model is precisely the kind of pop-cultural shout out I said I was wary of in my previous post, because – at the end of the day – this guy is still clearly Boba Fett 😉 Building and painting the model was still great fun, however, and I think I did a reasonably good job with the much smaller bitzbox I had back then. So yeah, so much for a post that has been a bit of a blast from the past. I hope you enjoyed the change of topic — and if not, don’t fret: We’ll be back in familiar waters from now on. 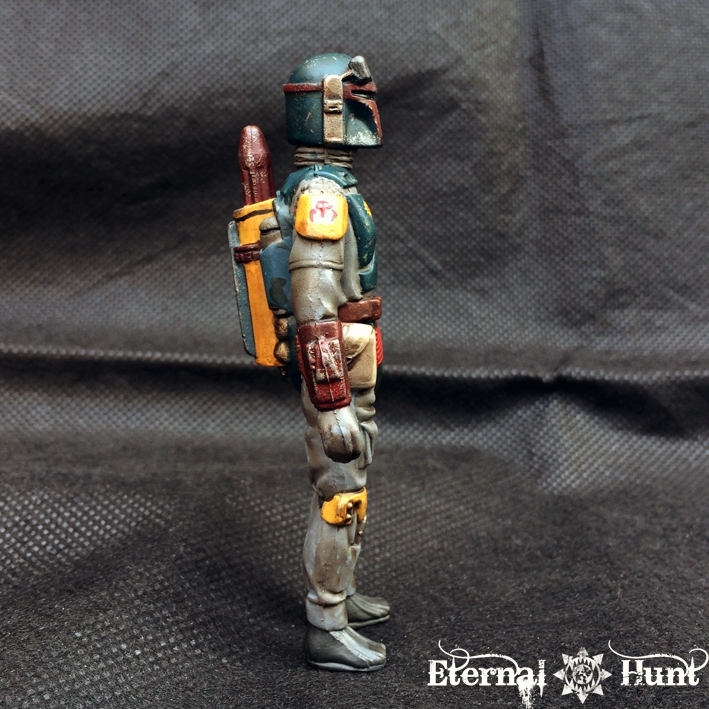 Of course I’d love to hear what you think about my Boba Fett homage(s), so feel free to leave a comment! As always thanks for looking and stay tuned for more! 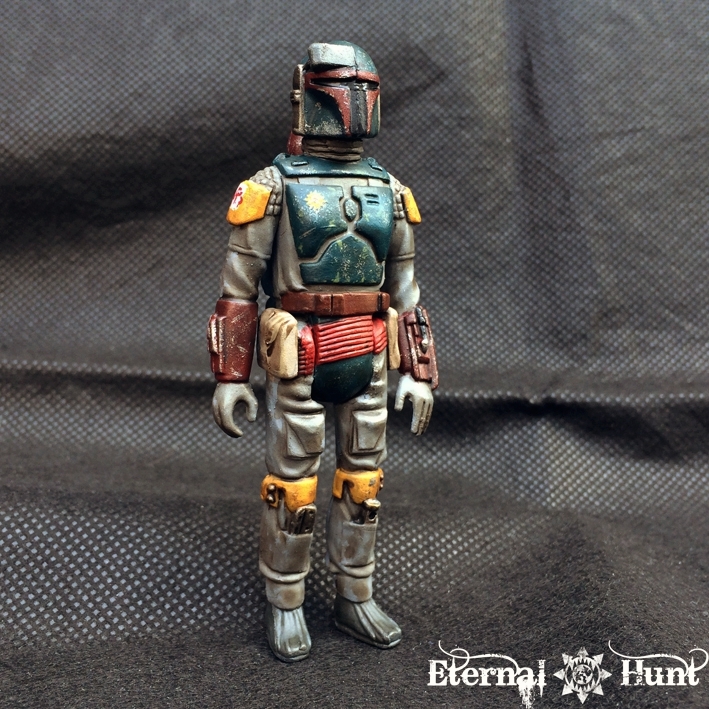 This entry was posted on May 21, 2018 at 13:00 and is filed under Conversions, paintjob, Pointless ramblings with tags action figure, blast from the past, boba fett, bounty hunter, conversion, counts as, kenner, kitbash, mandalorian, nostalgia, paintjob, repaint, star wars, toy, tribute, vintage models. You can follow any responses to this entry through the RSS 2.0 feed. You can leave a response, or trackback from your own site. what a fun little distraction! Nice work, KS – and yeah, toy repaints and customs is very much a thing for a separate but related group of internet collectors and hobbyists. 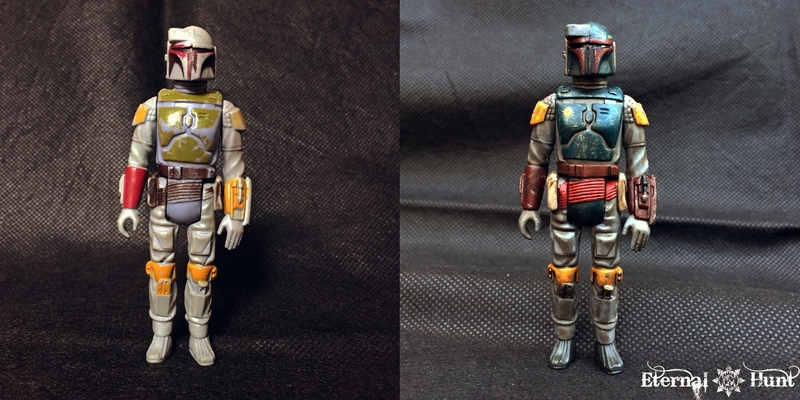 You’ve achieved quite a cool repaint/restoration on that old-school Boba Fett figure. I started a couple of repaints of my own back in the day, but like so, *so* many of my projects, I never finished them and they ended up shoved into a box, discarded and forgotten. You can now consider yourself directly responsible should I find that old Max Rebo and finish his paint! 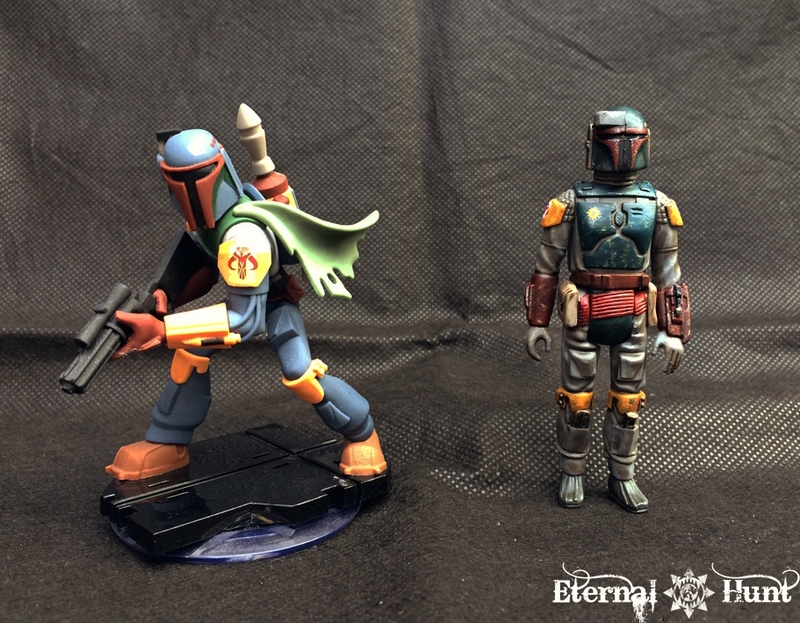 The Mandalorian looks pretty cool as well – I haven’t seen him before! Cooooooool. Boba is my all time favourite!! That’s really cool! 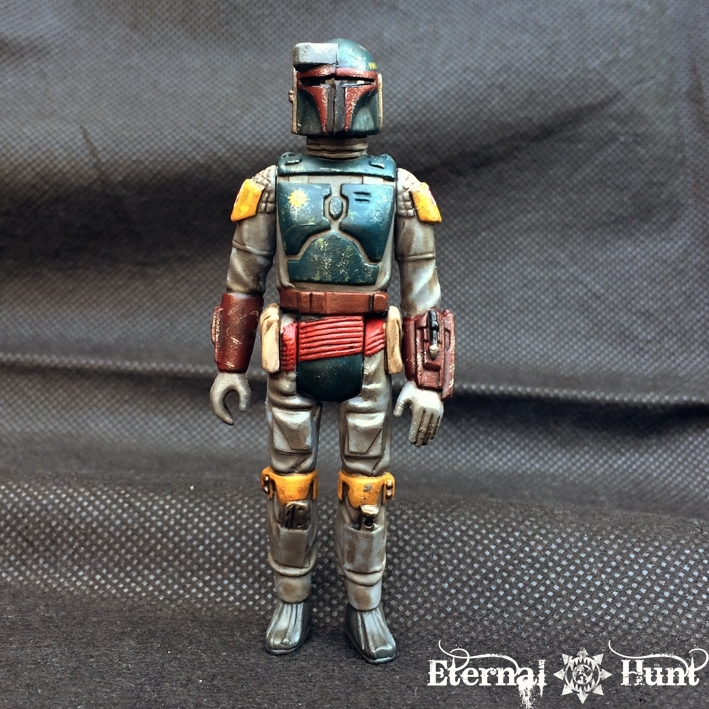 I think I’d be super nervous trying a repaint of something, even something as scuffed up as some old action figures (I also picked up a battered second-hand Boba Fett figure when I was younger!). I love your 30 mm interpretation of this iconic character. Good stuff, as always. Nice, hard to believe that is even the same figure! It’s also quite scary and something I worry about from time to time when I’m hacking something up for a conversion. With my obliviousness to the GW world, I’m always worried that I’m going to hack up some rare WH model and then someone will yell at me for destroying a historical artifact! Luckily, it hasn’t happened yet, haha! The Mandalorian is really awesome too. Makes me want to try to do something like that, but it would be nowhere near as good! Hm, I guess when all is said and done, a hacked-up model you’ve used to make something cool would still be preferrable to a pristine model sitting unpainted for years and years — for me, the question is always whether to paint classic models the way they were intended to be painted, as a kind of tribute, or to use them as building materials for something new. Admittedly, that can be a rather tough choice, though. As for the Mandalorian, go for it! It was such a simple kitbash, really! 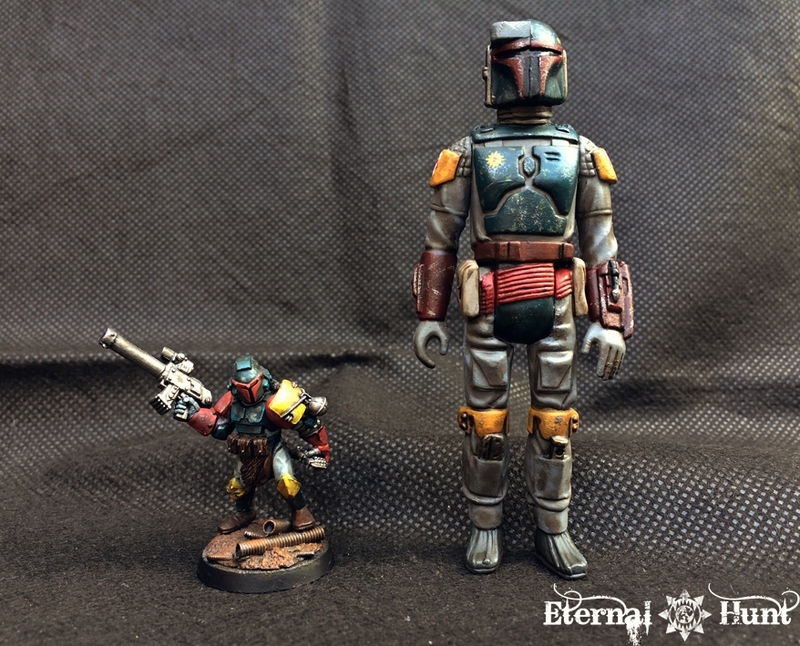 I’ve seen him before and really enjoyed your 40k homage to Boba Fett too. He is a lot of fun. We must be similar age. My teenage fantasy game was Star Wars 40k. 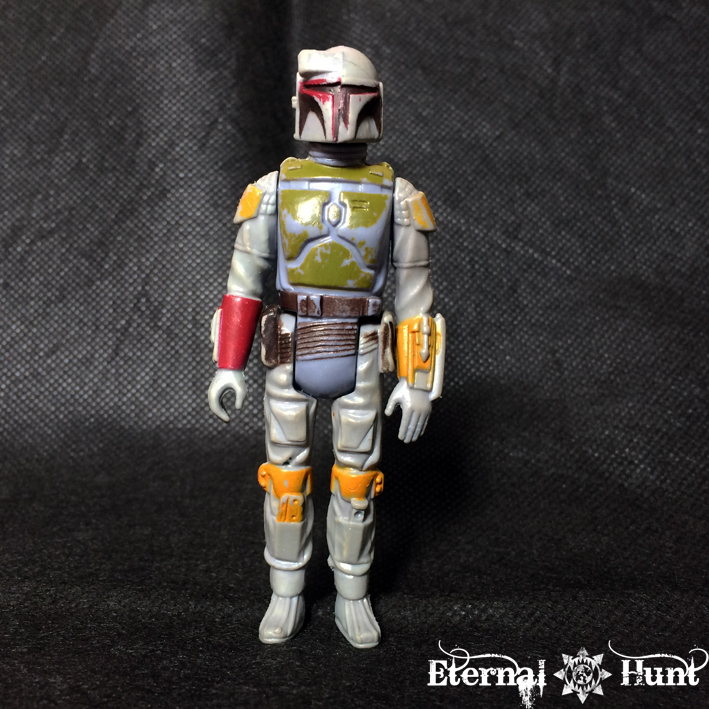 I think all of us have a Boba Fett conversion hiding away somewhere. 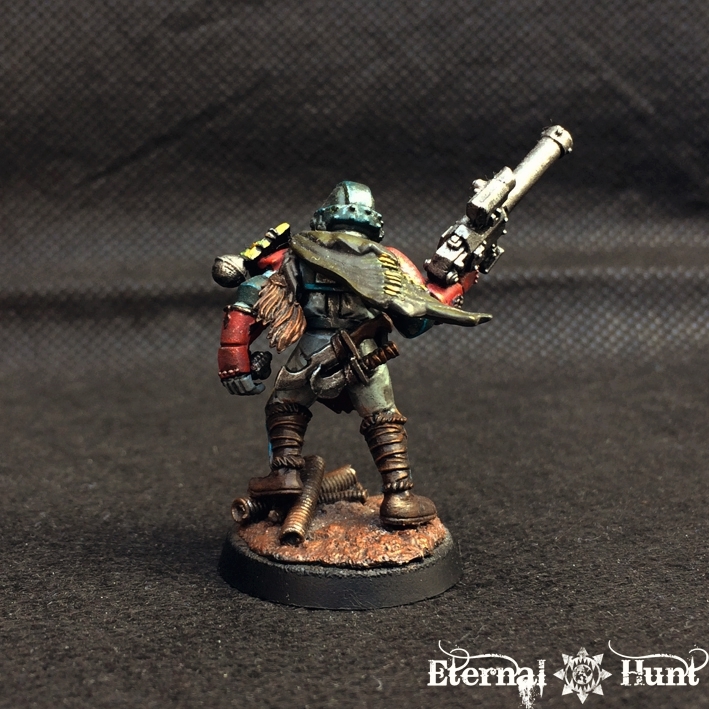 Mine’s lurking amongst the assorted scum and villainy of my Necromunda NPC box. this makes you a kind of Hobby Wan Kenobi ? I love this little side step, and how you’re creative with the hobby we all love. Also, dude, you have a Boba Fett?? ?